Why We Love Tricks – Part III of Our Series on Enrichment | Sit! Stay! Play! I often ask training clients what they most enjoy doing with their dogs. Never, not once, not a single time has anyone ever told me they love heeling and practicing sit stays. Most people seem to enjoy attending classes at Sit! Stay! Play!. Often it is the only time in the week pet owners are able to focus solely on their dog without any interruptions or distractions. No phone calls, no emails, no work, no kids. For some people it’s almost like a mini-vacations! But I’ve noticed that as much as class seems to be enjoyed, there isn’t a lot of laughing or smiling. Training is a great way to develop a bond with our dogs, but for some reason everyone gets very very serious when teaching their dog to lie down or walk on a loose leash! But teach a dog a high five or to roll over and the entire class laughs and cheers. I hear a lot of “what a good dog” and “that’s my good girl” and rarely ever hear anyone say no or eh-eh. Tricks aren’t just fun. They improve the relationship we have with our dogs and teach skills we can transfer to life. Tricks challenge dogs mentally and often physically as well. They teach the dog how to learn so each new skill comes more easily. We have been teaching tricks classes at Sit! Stay! Play! for years, but now I am becoming a Certified Trick Dog Instructor and are partnering with Krya Sundance and Do More With Your Dog!™ to offer classes leading to trick dog titles! These classes are for dogs and owners of ages and skill levels. We are also forming a Sit! Stay! Play! All Star Tricks Team that will perform in venues throughout the community. Everyone taking a tricks class will be welcome to join the team. Some of the tricks you and your dog may learn include Paws Up, Say Your Prayers, High Five, Wave Goodbye, Spin, Roll Over, Crawl, Speak, and many many more. The tricks you choose to learn are completely up to you! Do you love the idea of your dog performing tricks and earning a Novice Trick Dog title, but don’t have the time to devote to the training? Your dog can join the fun, too. 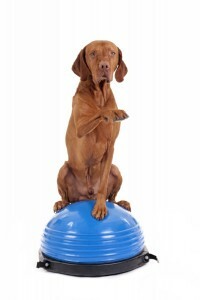 We are offering a Do More With Your Dog!™ tricks curriculum in daycare. 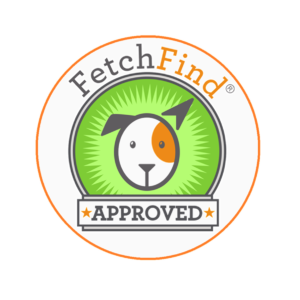 Enrollment in the program is an additional fee, but your dog will receive lots of one on one attention and you will receive a video capturing what your dog has learned to earn his or her title! And you will be able to show off your dog’s brilliance to your friends and family! Tricks classes are ongoing. If you would like your dog to participate in the Do More With Your Dog!™ tricks curriculum in daycare please tell Claudia. Participation is limited to five dogs per month for this exciting new program. TRICKS – just one more way Sit! Stay! Play! is committed to sending home not just a tired dog, but a better dog! Our goal is to inspire everyone to do more with your dog!